between Nilla Wafers and dipped in chocolate. Summer is all about relaxing and taking it easy, and there’s nothing I like more than an easy dessert for a crowd. 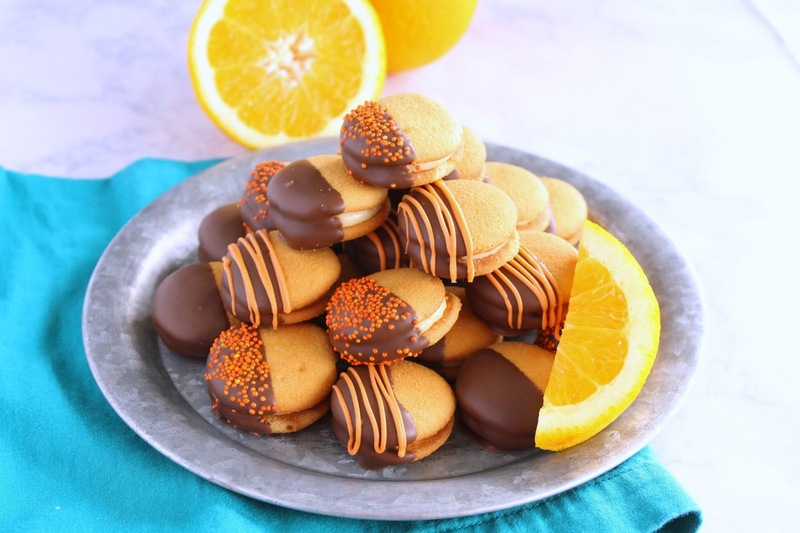 Chocolate and orange are great complimentary flavors and these cookies will be the hit of any gathering. I often make little treats for #ToddlerLnC’s swim instructors, and when I brought these Chocolate Orange Sandwich Cookies in, the swim instructors and staff loved them. 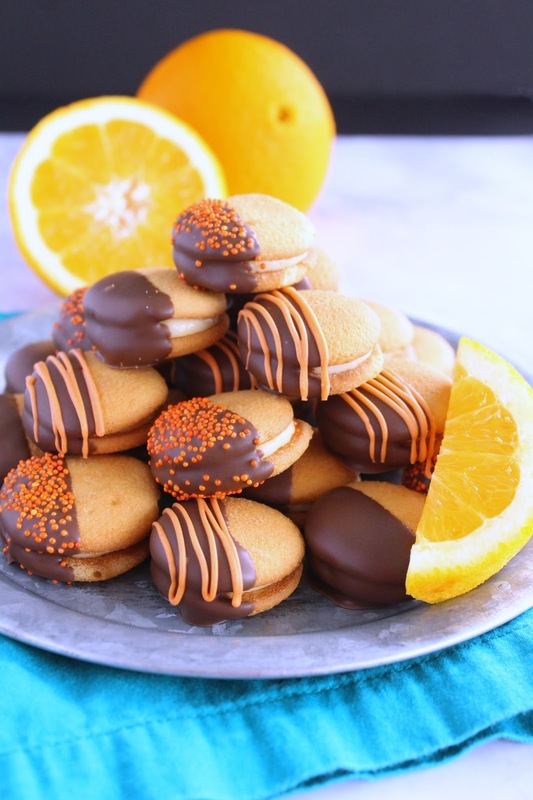 You can make these sandwich cookies extra special by decorating with an orange white chocolate drizzle or fun orange sprinkles. 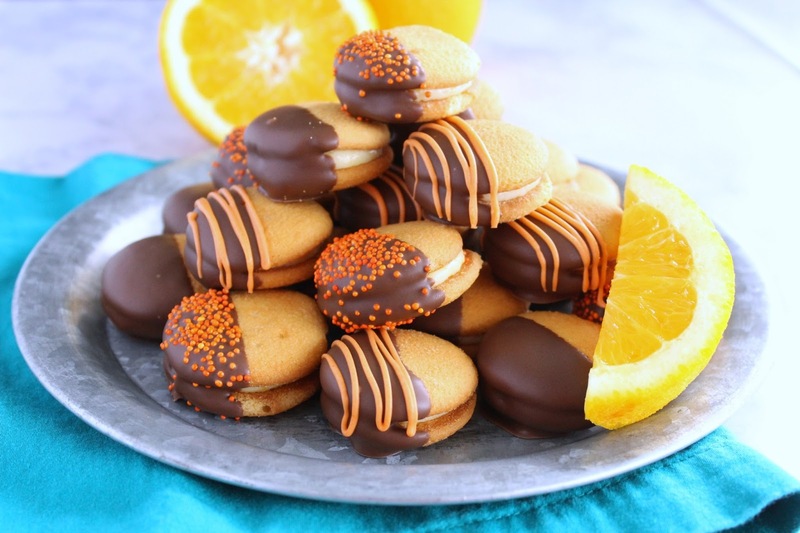 I love sandwich cookies, and using a piping bag makes filling the cookies even easier. Since these cookies have cream cheese, they need to be refrigerated before serving, and make sure they don’t stay out too long – if they don’t get gobbled up immediately. Enjoy! I've always loved the combination of orange and chocolate. Such a great cookie flavor! Hi Terri – these look delicious. Perfect for summer and no bake to boot! Score. 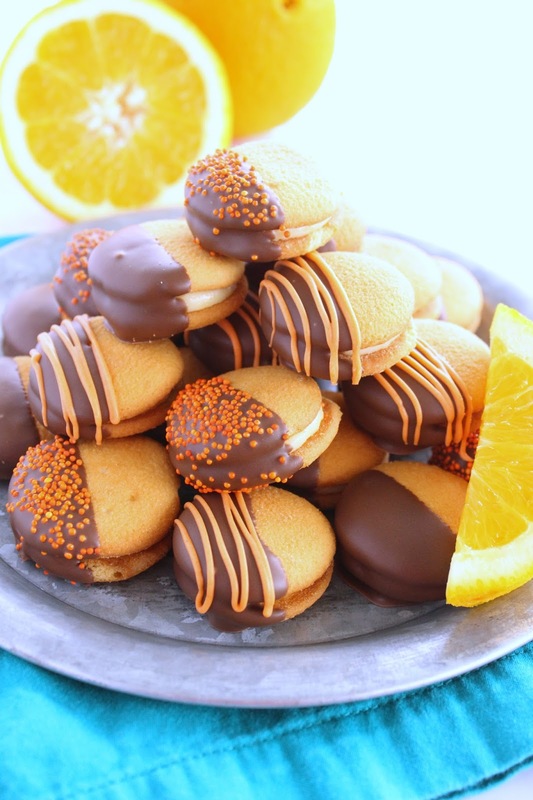 Chocolate and orange are the best combo ever ! Thanks – it really is so delicious!